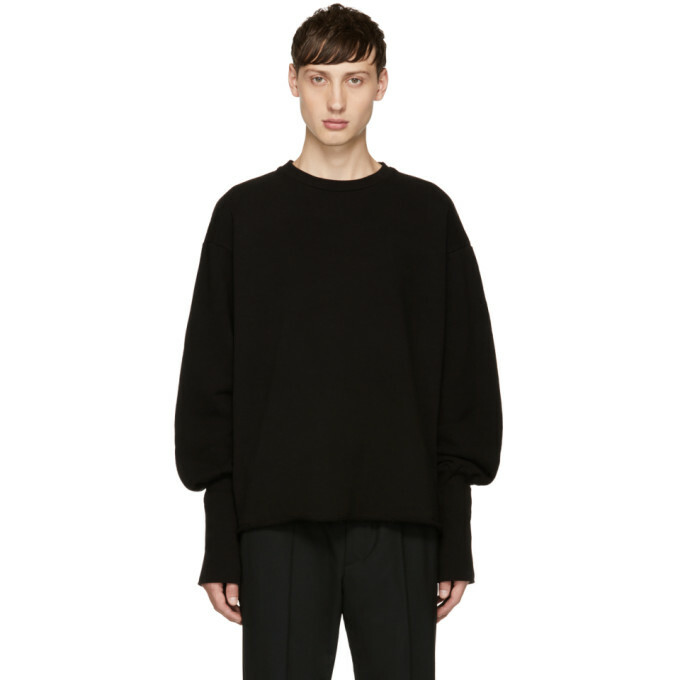 Long sleeve wool sweater in black. Rib knit turtleneck collar. Text embroidered in white at front and sleeves. Tonal stitching. 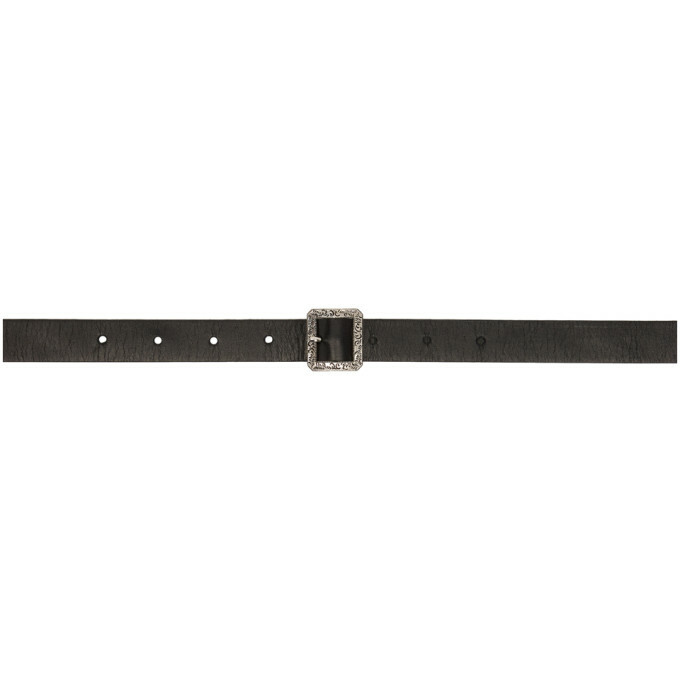 Grained leather belt in black. Engraved detailing at adjustable pin-buckle fastening. Silver-tone hardware. Tonal stitching. 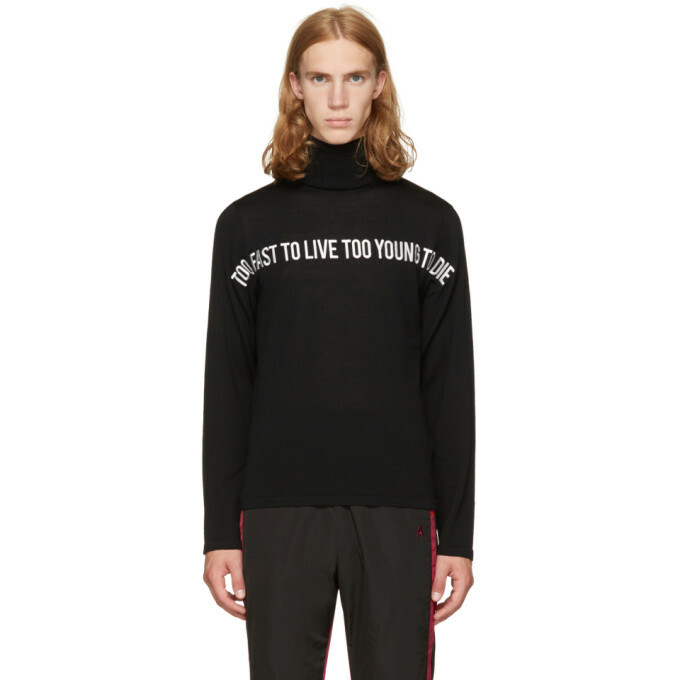 Long sleeve cotton fleece sweatshirt in black. 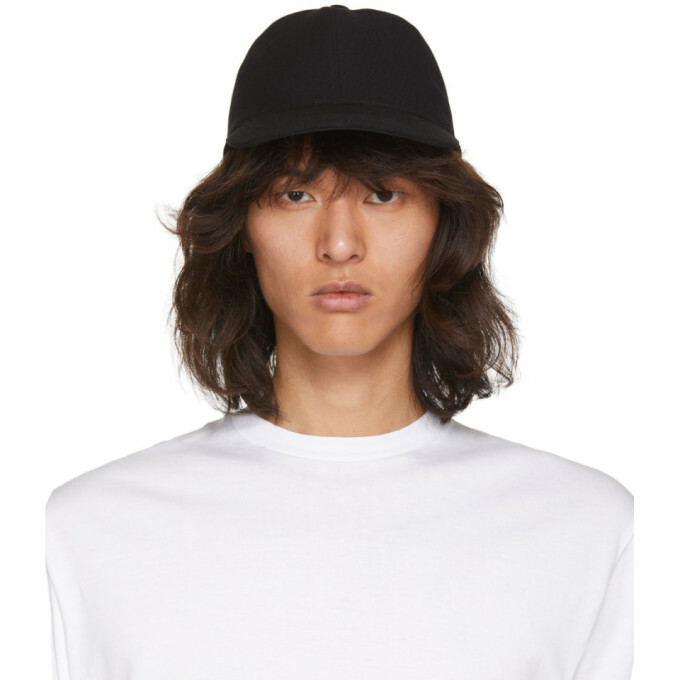 Rib knit crewneck collar and overlong cuffs. Dropped shoulders. Raw edge at hem. Tonal stitching. 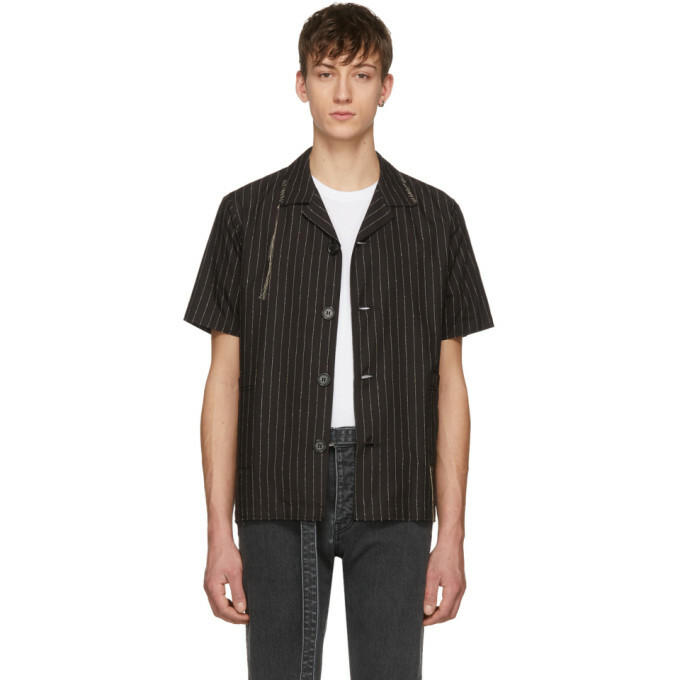 Short sleeve cotton and modal-blend shirt in black featuring white pinstripes throughout. Beige stitch detailing and frayed trim throughout. Spread collar. Button closure at front. 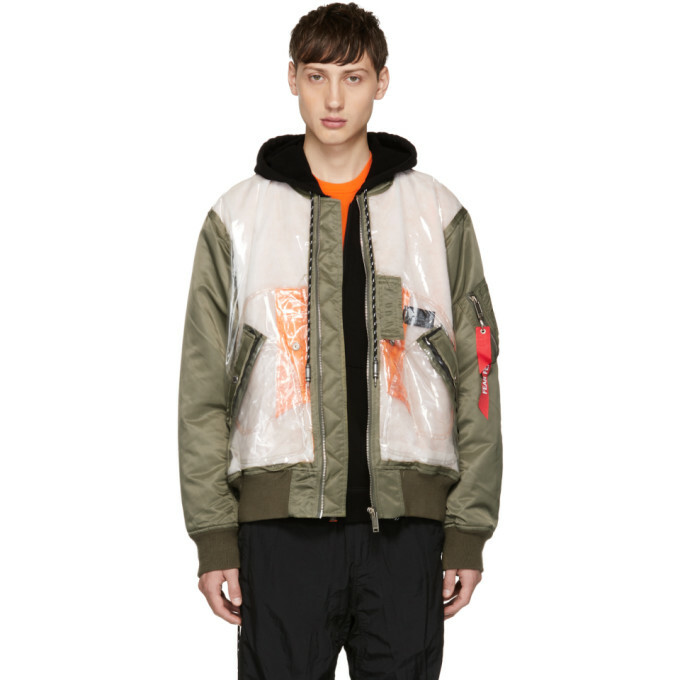 Patch pockets at waist. Tonal stitching. Short sleeve cotton jersey t-shirt in black. Rib knit crewneck collar. 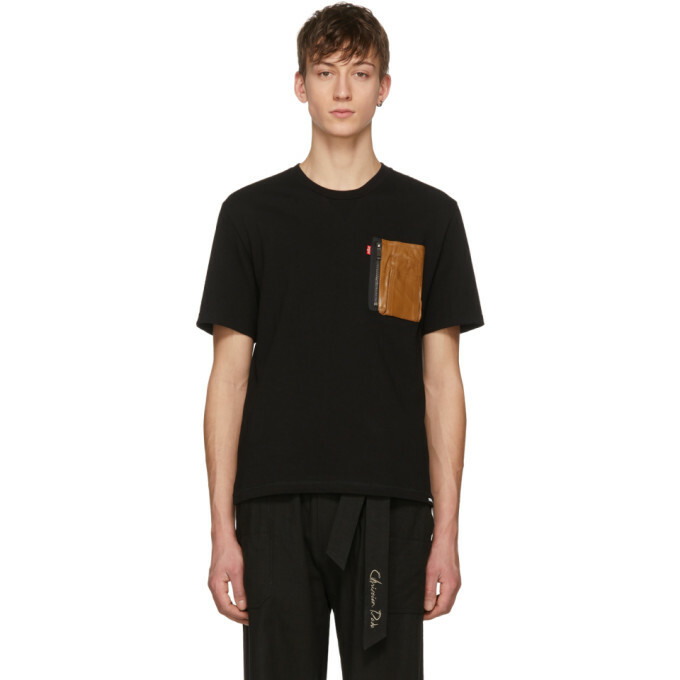 Brown leather utility pocket at chest. Text printed in white at hem. Multicolor graphics printed at back. Silver-tone hardware. Tonal stitching. 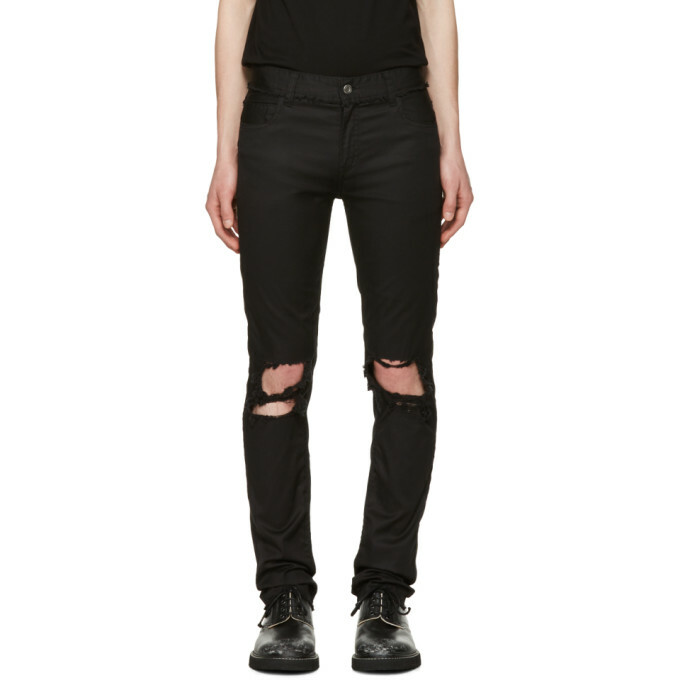 "Skinny-fit stretch denim jeans in black. Fading throughout. Raw edge at waistband. Five-pocket styling. Red logo flag at back pocket. Tonal leather patch at back waistband. Zip-fly. Silver-tone hardware. Tonal stitching. Approx. 6"" leg opening." 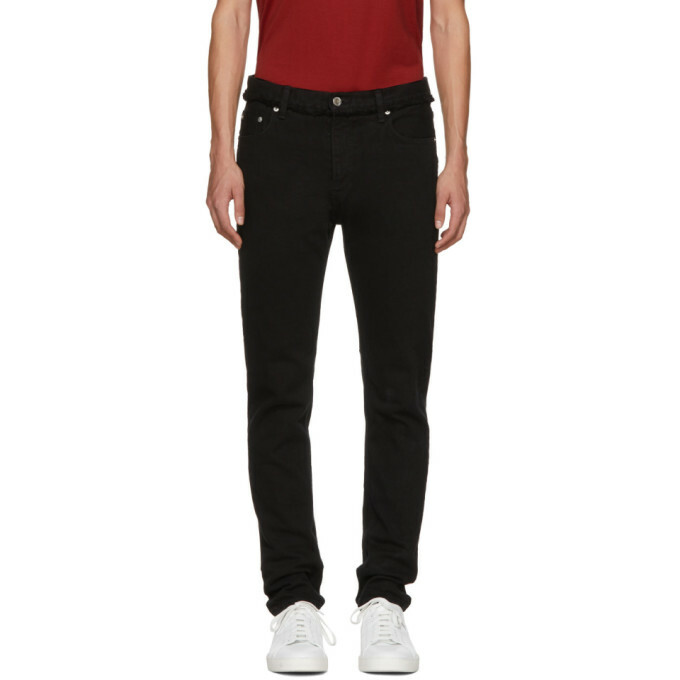 'Super' skinny-fit stretch cotton twill trousers in black. Fringed trim at waistband. Five-pocket styling. Distressing at knees. Raw edge at hem. Zip-fly. Silver-tone hardware. Tonal stitching. Wide-leg alpaca and linen-blend trousers in black. High-rise. Four-pocket styling. 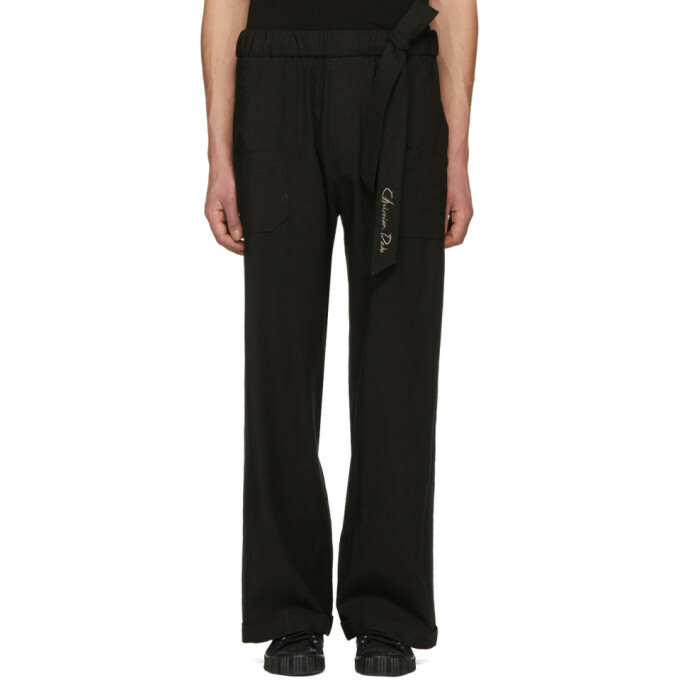 Self-tie fastening with off-white embroidered logo at elasticized waistband. Tonal stitching. Wool twill cap in black. Bolo-style lace-up fastening at back. Silver-tone hardware. Tonal stitching.